Dr. Rishi Manchanda says he likes to do the “happy dance” at work – it means he and his team have achieved the Quadruple Aim; providing quality health care that is lower in cost, improves patient outcomes and experience and improves the physician experience. But getting to where physicians can do the happy dance takes some flexibility and creativity. 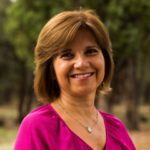 Manchanda, Chief Medical Officer at The Wonderful Company, says that if you look back in a patient’s life, you’ll often find something “upstream” that led to their current situation – issues with a personal relationship, loss of a job. He says resolving these can lead to faster and lasting recovery. His point is that social factors can affect health more often as medical factors. It makes sense, but we’re far from a point where considering social determinants of health are standard operating procedure in medicine. 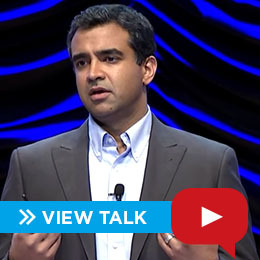 Manchanda talks about flexibility in medicine and treating what’s really making people sick — what he calls the “Upstream Effect”– in this Quality Talk. Manchanda’s goal is to make the upstream effect a component of the primary care routine. He’s also doing all he can to achieve the Quadruple Aim and getting physicians everywhere to where they too can do the happy dance.